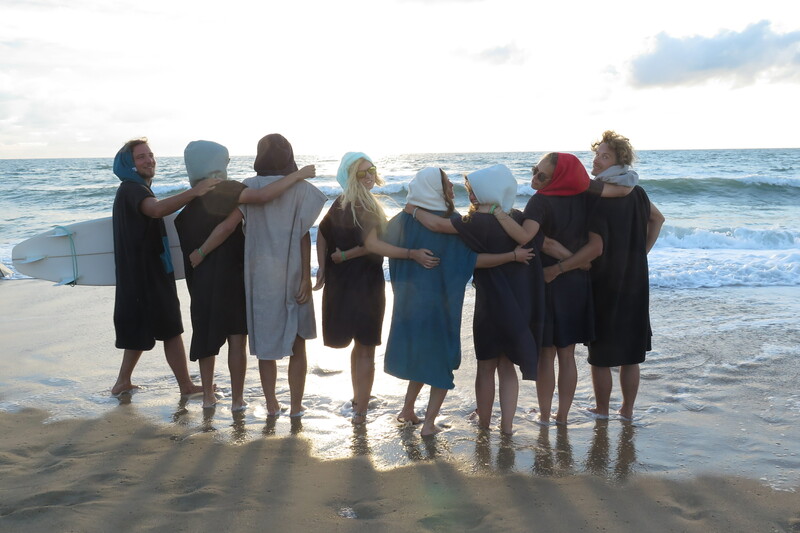 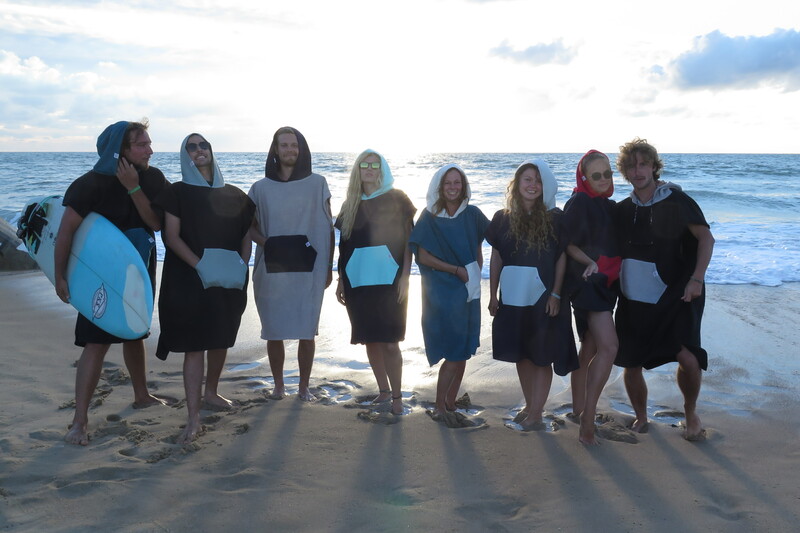 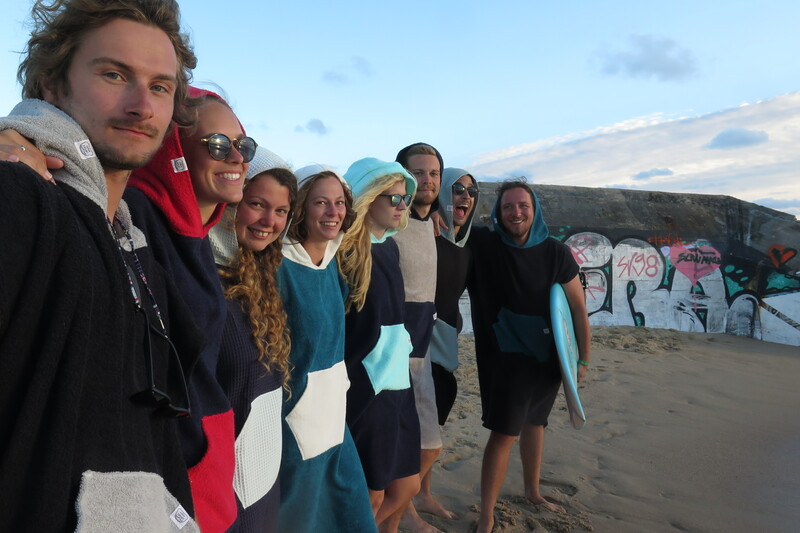 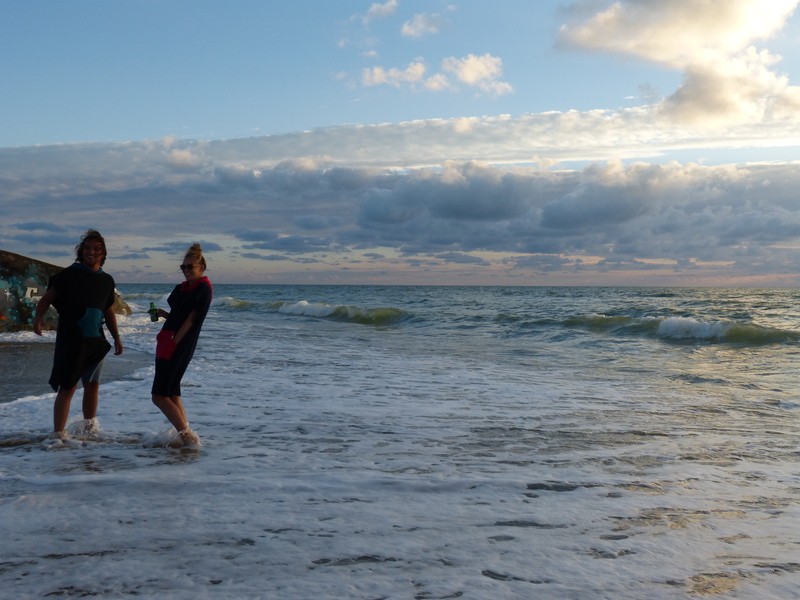 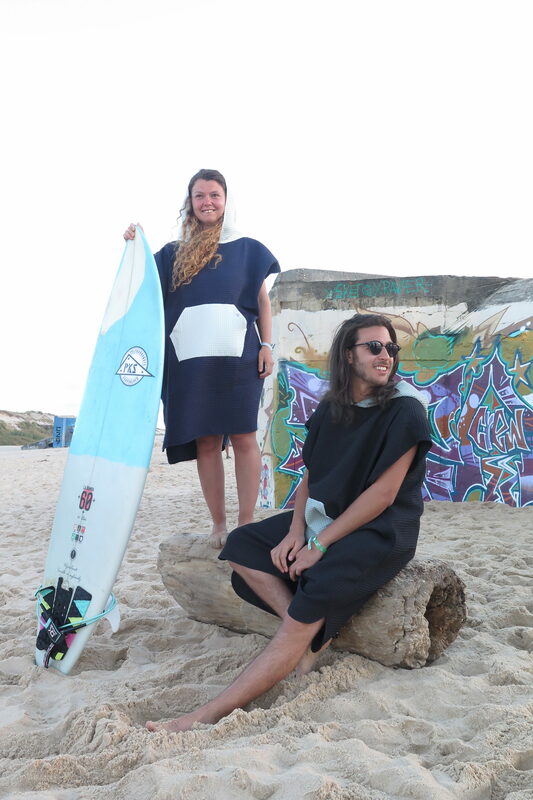 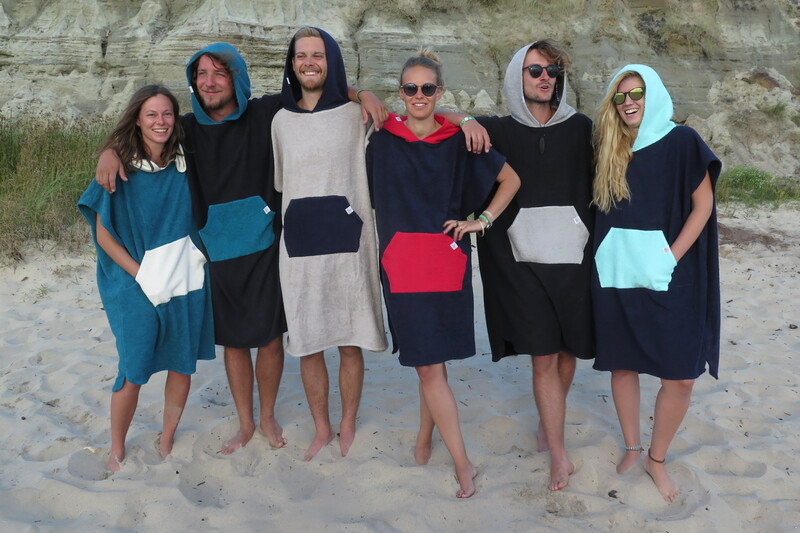 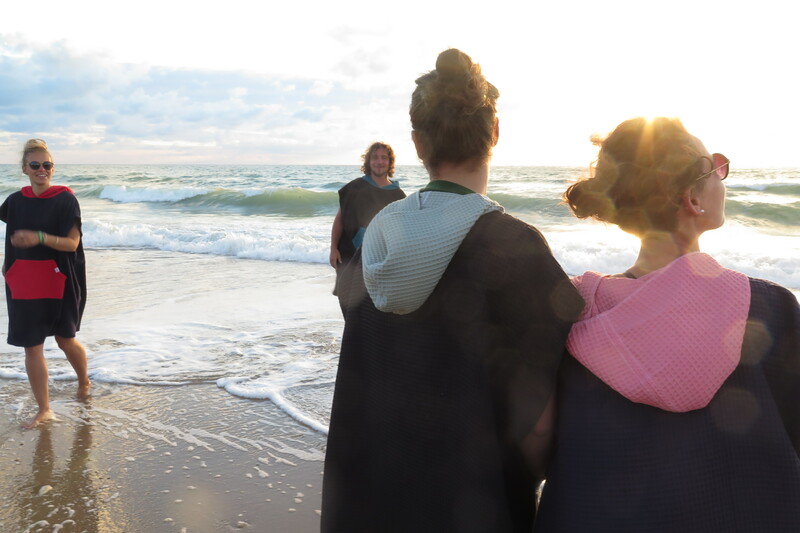 As I love surfing and sewing I started a few years ago to make surfponchos for me and my surfing friends. 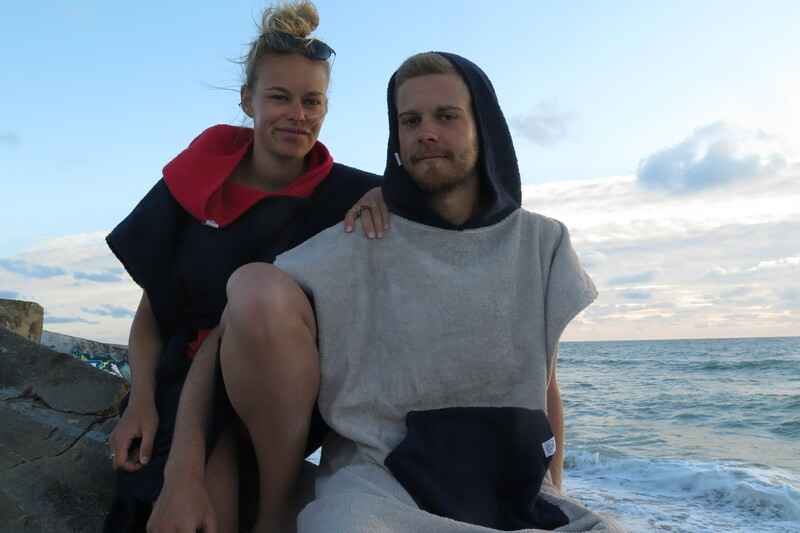 For my current trip I started producing them. 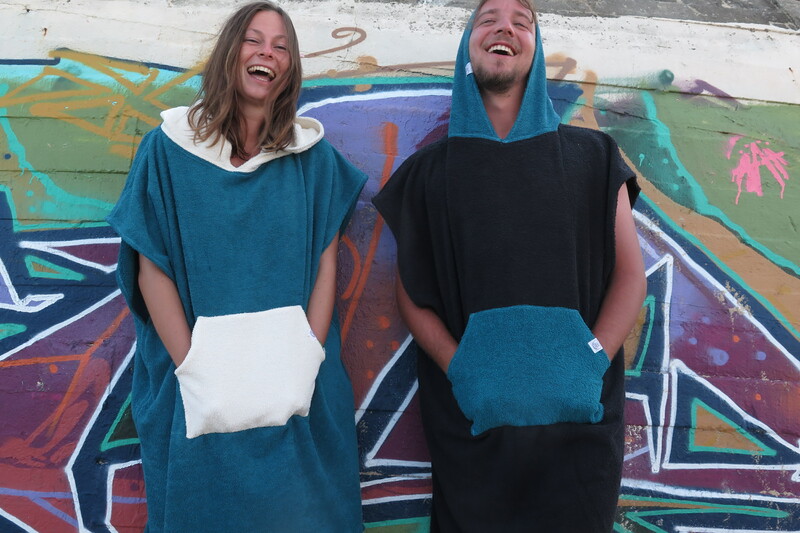 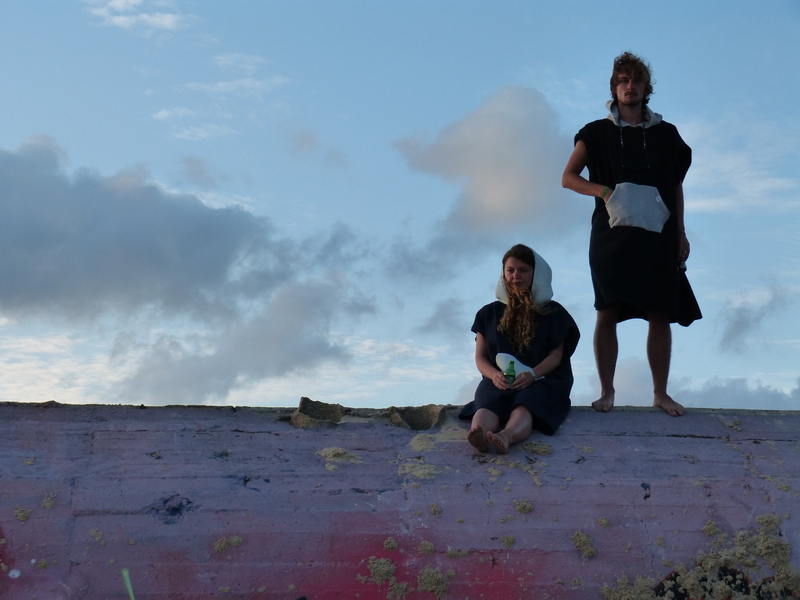 They are made out of the usual towel fabric frotée and keeps you warm and comfortable.